Humanity at Sea explores the outer frontiers and inner tensions of human rights law in its treatment of migrants who, intercepted at sea, challenge the interpretive boundaries of international law as well as the literal boundaries of states. In providing an impressive and often moving overview of legal and administrative responses to migrants at sea, Mann also seeks to offer a “new theory of human rights” (p.6). The jurisprudential focus lies with whether states can be obligated to assist. Though international law confers a duty of rescue on the high seas, that duty extends only to immediate emergency assistance: once out of physical danger, it would not prevent migrants from being returned to their home territories. By contrast, the duty of non-refoulement, which compels states not to “expel or return” migrants to territories where they could be persecuted (Art. 33, 1951 Refugee Convention), has traditionally been interpreted to apply only to receiving states’ territories, not to interception outside territorial waters on the high seas. Mann’s theory provides a framework for understanding how states may come to extend this obligation, through a more general conceptualization of how new human rights come to be recognized. Whereas international legal thought has oscillated between positive law and natural law as a basis for state obligation, Mann’s innovation is to reject this dyad. Rather than a predetermined source of law, he argues, new human rights arise dynamically out of the “asymmetric encounter between a powerful party and a disempowered party, in which the terms of the relationship have not yet been determined”(p.235). The encounter is what provides the existential authority – but also potentially the limitation – of Mann’s new theory. In this open-ended space of encounter – and whether it must be a physical space is a question that this review will return to – the demand placed by the less powerful party (in the study of this book, migrants at sea) on the more powerful party (intercepting states) forces the latter to recognize its ultimate responsibility for the former, and to deny assistance at its own moral peril. For example, had the Eritrean and Somali nationals of Hirsi Jamaa v. Italy (ECtHR, 27765/09, 2012) not placed themselves before the Italian authorities, in circumstances of grave danger, the court’s ruling that the protections of non-refoulement were operational, even though they they were not in Italian territorial waters, because they were effectively under Italian control once intercepted, could never have occurred. It is only “because the migrants generated the encounter that they were granted a position in a transnational sphere” from which to assert, and prevail, in human rights claims (p.58). If Mann’s reference to “another non-positive source of law: human rights law” (p.158) seems nebulous as the basis for deriving particular rights and duties, this is precisely the point. The contour of these rights is not predetermined either by positive law, or by a foundationalist theory of justice (as has characterized liberal political thought such as Kantianism). Because rights arise in the encounter, their nature and limits are contingent. Mann surveys a series of such encounters, with the first several chapters charting a progressive movement towards their expansion. Following the establishment of the Refugee Convention in 1951 and its 1967 Protocol, Mann shows how the international community began to move towards refugee resettlement, if through non-binding means, as with the UNHCR’s Orderly Departure Program for Vietnam War-era refugees during the 1970s and 1980s (ch.2). The 1990s and 2000s saw notable legal challenges arguing for the conferral of non-refoulement to migrants at sea (chs. 3&4). 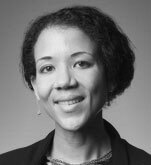 While these challenges were rejected by U.S. and Australian high courts (Sale vs. Haitian Council Centers (509 U.S. 155, 1993); Ruddock v. Vadarlis  FCA 1329), trenchant dissenting opinions accompanied each of these decisions. In Hirsi Jamaa (supra) those dissenting opinions found purchase, with the European Court of Human Rights interpretation of the Refugee Convention and the European Convention on Human Rights (Art. 3 & Protocol No. 4, Art. 4) (ch.5). Following Hirsi Jamaa, however, the progress of this arc wavers and becomes uncertain. From the utopian gesture of Hirsi Jamaa, the events of recent years seem to have tacked towards the apologetic. Mann’s final chapters discuss the 2013 “left-to-die boat,” whose multiple signals of distress were left unheeded (ch.5); and the 2015 European Agenda on Migration, which moves away from legalism towards “managerialism” (p.189) (ch.6). The EU’s provision of assistance to Syrian refugees in 2014 and 2015, as Mann notes in his analysis of European Commission President Jean-Claude Juncker’s 2015 State of the Union address, is couched in the language of “voluntarism” rather than the language of right (p.204). It is through the lens of these more recent events that I wish to consider the theory of the “human rights encounter” from a consequentialist perspective. After all, these more recent events may be viewed as in some senses a reaction to the human rights victory of Hirsi Jamaa. The expansion by courts of “territory-based human rights protections” may at times provoke states “to build additional layers of walls, to prevent” migrants from coming close enough to trigger these protections (Moria Paz, Between the Kingdom and the Desert Sun: Human Rights, Immigration and Border Walls, 34 Berkeley Journal of International Law 1, 9-10 (2016)). Mann recognizes this dialectic, noting that “[w]hen the court realizes the human rights encounter in its own positive jurisprudence, executive agencies push against it to eliminate the encounter” (p.181). Mann then notes with admiration that, when such border controls are expanded to eliminate the encounter, migrants and their advocates seek other means of “press[ing] it back into existence” (p.181). But, if Mann is correct, then, in an effort to “press [the encounter] back into existence,” migrants may be compelled to “resort to ever more hazardous behavior” as states amp up border control (Paz, at 10). This observation in turn sheds light on the fact that Mann’s intervention does not address the feature of international refugee law that, in order to claim non-refoulement, asylum seekers must undertake often dangerous and illicit journeys in the hope that they can reach the receiving states’ territories. Even if non-refoulement comes to be securely extended beyond states’ territories or control to the high seas, it would in this configuration still require some sort of physical encounter, which will often occur in perilous circumstances. Mann seems to recognize these limits of the physical encounter – but not really to theorize beyond them. Perhaps this is because Mann frames his theory as one occurring in the context of “last resort:” “when all other law seems to fail, humanity is invoked as a last-resort normative commitment. This is the human rights commitment, properly understood” (p.221). Would it be possible – or persuasive – to extend Mann’s theory beyond physical encounters? Perhaps the horrific reports of Mediterranean crossings on television or in other media might stage a form of virtual encounter powerful enough to threaten the moral “embarrassment” (p.5) that serves as the catalyst for generating human rights. Mann does devote a ch apter to “imagination and the human rights encounter” (p.187), but here Mann seems to be making the point that the physical encounter gains its meaning only in a political context (p.203). The chapter may represent a lost opportunity to conceptualize how encounters might be imagined or re-imagined in the absence of physical proximity; or, if the theory of the encounter necessarily loses its existential power once one moves beyond the physical, as might also be argued, how it can truly offer a broad “new theory of human rights” outside this relatively limited category. 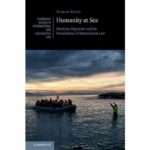 The salience of this question may grow as countries in the global North take increasing measures to eliminate their physical encounters with migrants at sea, either by shifting their detection of migrants at sea from sea vessels to covert and intangible surveillance technology, as occurred with the left-to-die boat (p.171), or by “outsourcing” physical encounters to third countries to manage the processing and in many cases denial of asylum-seekers. Earlier this year, the European Court of Justice declined to review the EU’s agreement with Turkey outlining just such a role, perhaps validating and perpetuating these avoidant trends. The rights of the encounter, while ennobling the migrants who so bravely undertake sea crossings and other perilous voyages, may therefore fall short of a more far-reaching egalitarianism. They may still share with much of human rights that they “are something the powerful do for the powerless” (James Ingram, Radical Cosmopolitics (2013), p.235). Although Mann seeks to counter the “disempowering” (id.) dimensions of this asymmetry by emphasizing the agentic aspects of the encounter, it is not clear that he can do so entirely. In the end, however, this asymmetry may be not so much a conceptual limitation of Mann’s theory, or even of human rights, as a structural feature of international order. How we characterize responses on both sides of this asymmetry – our ambition in reconfiguring international law so as to enable its correction – remains to be seen. Humanity at Sea offers a beacon towards that distant horizon.